Gun owners may have heard some things about the benefits of “Gun Trusts,” but most don’t know what options exist. Gun Trusts are specifically designed to hold and pass ownership of firearms. 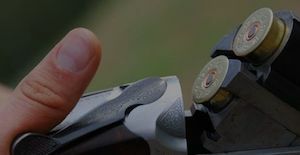 Usually, Gun Trusts are created for the ownership of firearms that are subject to strict federal and state regulations. The reality is that Gun Trusts can include other kinds of weapons as well. Gun Trusts can make it easier to possess and own firearms after the original owner’s death. More importantly, Gun Trusts may prevent surviving family members from inadvertently violating the law. Gun Trusts are created for weapons that are regulated by two federal laws: the National Firearms Act of 1934 (NFA) and a revision of that law, Title II of the Gun Control Act of 1968. Weapons and firearms that are regulated by these federal laws are often called NFA or Title II firearms. NFA weapons include silencers, short-barreled rifles, machine guns, and short-barreled shotguns (including sawed-off shotguns), and other weapons. Help the executor of an estate deal with NFA firearms and weapons. Possibly avoid future restrictions on gun transfers. We have the expertise to help you customize your Estate Plan with a Gun Trust if needed. Our Estate Planning Group of attorneys bring specific skills to assist in a team approach with your Estate Planning needs. Put our Estate Planning Group of attorneys to work to complete your planning including a Gun Trust. We create customized Estate Plans across Idaho. We can help you and your family too. Call us toll free at 877-232-6101 or 208-232-6101 for a free consultation with our team of attorneys in Idaho. You can also email us directly at racine@racinelaw.net. We will answer your Idaho Estate Planning questions. Click Here to access our questionnaire that you can print off and fill out before coming in. You Can Do Your Own Idaho Estate Plan, But Should You? You are a Legal Guardian, Now What Do You Do?